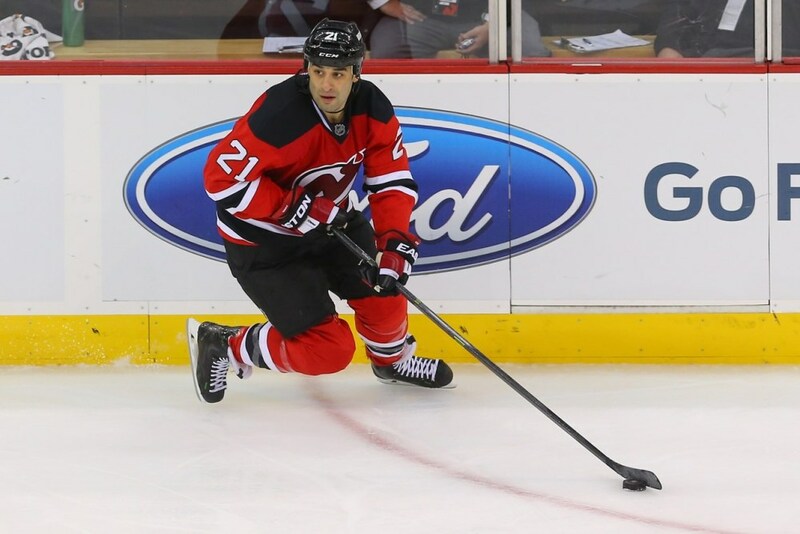 In his return to the New Jersey Devils, Scott Gomez has shown that he still has a penchant for finding the open man on the ice. It makes perfect sense that Gomez would still display such vision on the frozen sheet. 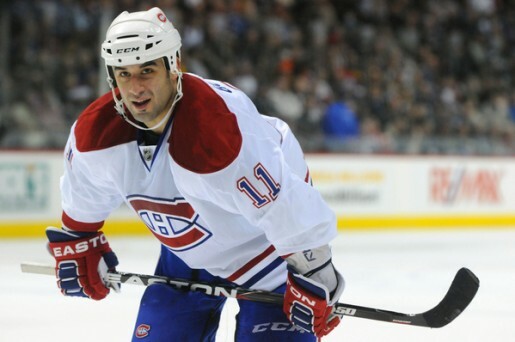 After all, he has seen an awful lot of it, having played in 1,000 career NHL games. As Dan Rice noted on “El Mago,” his triumphant return to the Garden State has conjured up memories from his younger days of roaming around the Meadowlands. Although this marks 561 games in a Devils uniform for Gomez, he becomes the first player to hit the 1,000 game plateau in a New Jersey sweater since Patrik Elias in 2012. Other than Elias, only Ken Daneyko (1,283) and Martin Brodeur (1,259) have suited up in over 1,000 games for Jersey’s team. Scott Gomez wins opening draw in his 1,000th #NHL game. #NJDevils underway at MSG. Had he remained in New Jersey for his entire career, Gomez would place fourth on the Devils all-time games played list. Nevertheless, it’s still special that he was able to attain the achievement with the franchise he was drafted by in 1998. 1 – October 2, 1999. The first game in the NHL career of Scott Gomez, came against the first year Atlanta Thrashers. In a 4-1 Devils victory at Atlanta, Gomez skated for 23:30, registering three shots on goal. It was the first game in what would be a march to the Calder Trophy and a Stanley Cup for Gomez. 100 – November 16, 2000. Hitting the century mark, Gomez came up clutch for New Jersey. At the FleetCenter, Gomez bested Byron Dafoe with the overtime winner, as the Devils topped the Boston Bruins 3-2. 200 – January 9, 2002. Aside from being the lone victory in the NHL career of Jean-Francois Damphousse, this contest marked the 200th game in the career of Gomez. In this one, Gomez picked up the primary assist on Scott Niedermayer’s eventual game winner in the second. At New Jersey, the Devils scorched the Calgary Flames by a final count of 5-1. 300 – March 8, 2003. At the Nassau Veterans Memorial Coliseum, the Devils doubled up the New York Islanders 4-2. In his 300th game, Gomez registered a shot on goal and took a two-minute roughing penalty. 400 – October 18, 2005. Hosting the Florida Panthers, the Devils came out on top, 4-3. Gomez recorded five shots on goal and was credited with a secondary helper, on Sergei Brylin’s goal in the first period. 500 – December 17, 2006. His first games played milestone at Madison Square Garden, a 6-1 Devils’ victory over the New York Rangers. Gomez was credited with a secondary assist, on Elias’ second tally of the game, in the third period. 600 – January 28, 2008. Now playing for the aforementioned Rangers, Gomez recorded his 600th contest at Raleigh. In a 3-1 loss to the Carolina Hurricanes, Gomez recorded the primary assist on a power play goal by Brendan Shanahan in the first frame. Gomez also put five pucks on net but was denied each time. 700 – March 28, 2009. In game 700 for Gomez, New York fell 4-3 at the Pittsburgh Penguins. As for Gomez, he dished out the secondary assist on a Ryan Callahan goal in the first frame. Additionally, Gomez fired seven shots on goal. 800 – November 11, 2010. Playing now for the Montreal Canadiens, Gomez hit yet another mile marker at Boston. This time at TD Garden, Gomez notched a third period tally, beating Tuukka Rask. It was an insurance goal, as the Habs doubled up the B’s, 3-1. 900 – March 8, 2012. In his final season with the Canadiens, Gomez hit the 900 mark. In a 5-3 win at the Edmonton Oilers, Gomez registered a primary helper on a Max Pacioretty goal in the second period. 1,000 – December 27, 2014. Back with the Devils and back at MSG. Gomez becomes the 296th player in NHL history to amass 1,000 games played. Gomez logs 16:12 of ice time, records a shot and a blocked shot and is 62% at the face-off circle. However, the Devils fall to the Rangers, 3-1, in the first game of the Lou Lamoriello/Scott Stevens/Adam Oates era.